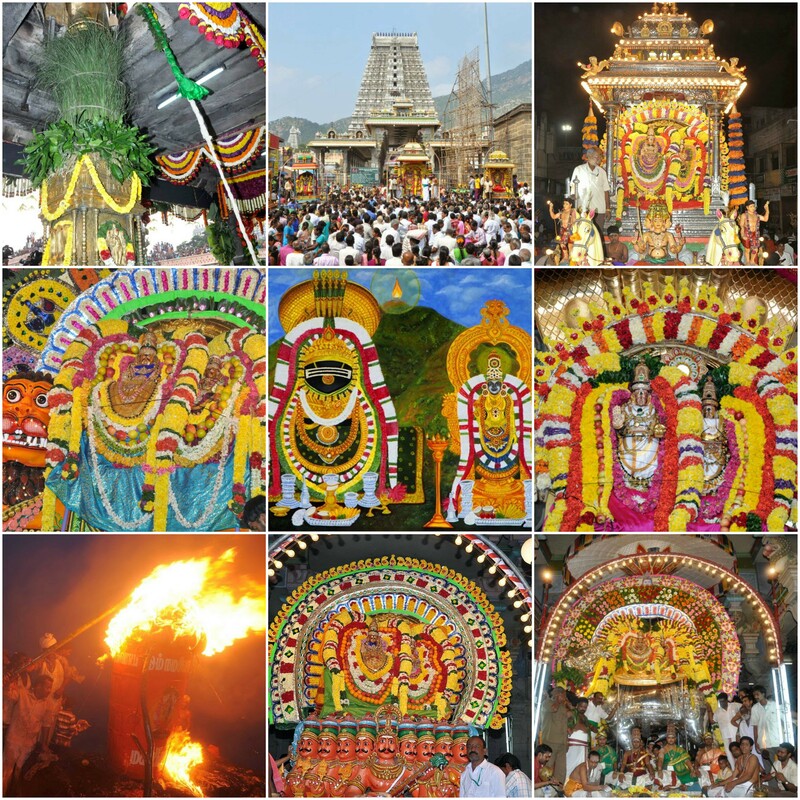 Many festivals are celebrated at Arunachaleswarar temple in Tiruvannamalai throughout the year. 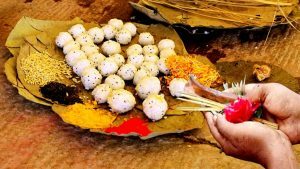 Among them Karthigai Deepam is the most significant festival that is celebrated with pomp and gaiety at Arunachaleswarar temple. This Karthigai Deepam is celebrated as a ten day festival and it widely known as Karthigai Brahmotsavam. Karthikai Deepam falls on 2nd December, 2017. Below is the schedule for the 17 day Karthigai Deepam Brahmotsavam festival. The festival begins with the flag hoist on the first day. Night Panchamoorthis, Mooshigam, Peacock, Adhikara Nandi, Hamsam small Rishaba Vaganam. 24-Nov-17 Second day festival Morning Sri Vinayagar, Sri Chandrasekara vimanam Sun Crescent mount. Night Panchamoorthis, Silver Indra vimanam etc. Night Panchamoorthis, Simha vaganam, Silver Anna vaganam etc. Night Panchamoorthis, Silver Karpagavritcham, Silver Kamadhenu vaganam and other silver vaganams. 28-Nov-17 Sixth day festival Morning Sri Vinayagar, Sri Chandrasekarar, Mooshigam, Silver Elephant, 63 Nayanmars vimanams. Night Panchamoorthis Silver car, Indra vimanam and other Silver vimanams. 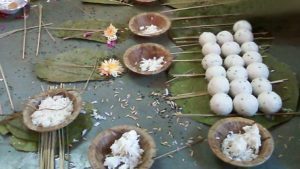 29-Nov-17 Seventh day festival Morning Panchamoorthis Maharahams between 5.30 a.m. and 7.00 a.m. in Viruchaga Lagnam Ratha Roganam Vadam. Night Panchamoorthis reach Asthana Mandapam from the car. Night Panchamoorthis, Horse vaganam etc. 01-Dec-17 Ninth day festival Morning Sri Vinayagar, Sri Chandrasekarar, Mirror Vimanam. Night Panchamoorthis, Kailasa vaganam, Kamadhenu vaganam etc. 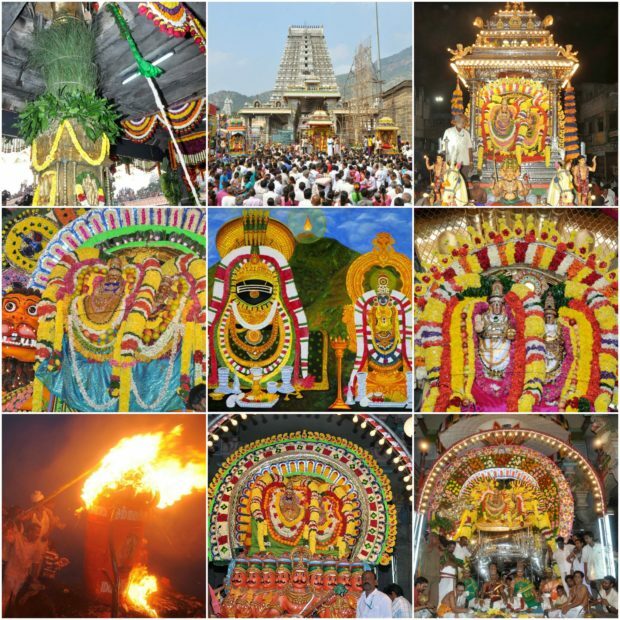 Evening At 6 p.m. Panchamoorthis on golden vimanams, Jyothi Swarooba Maha Deepam. Night Panchamoorthis, Golden Rishaba Vaganam etc. 06-Dec-17 Sri Chandikeswarar Utsavam Night Sri Chandikeswarar Utsavam, Silver Vaganam.